We spent around a fortnight travelling around the beautiful Tuscany. During that time we slept only on campsites and it was like hitting the bull’s eye. 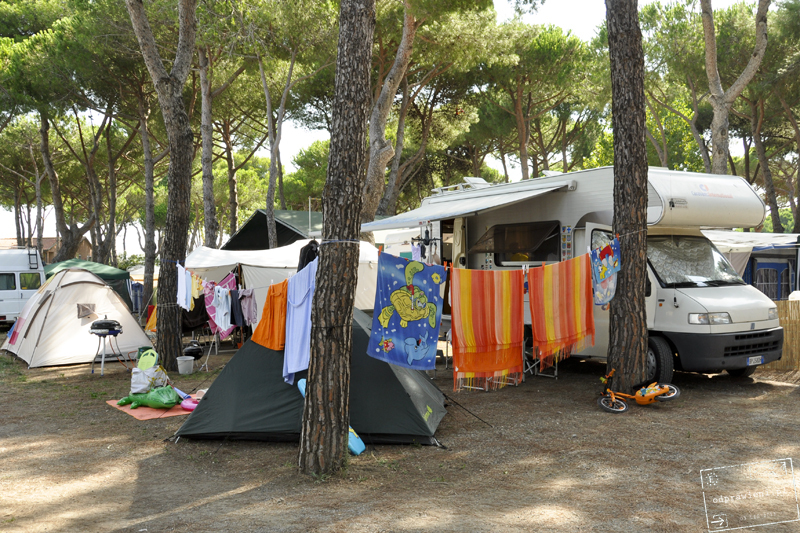 All campsites in Tuscany are relatively similar as far as prices are concerned, which are, unfortunately, quite expensive during the season. 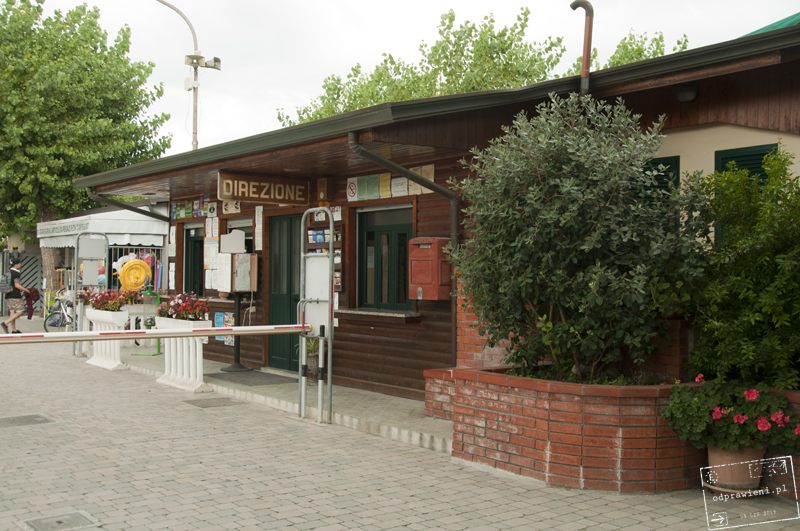 In my opinion all campsites are also very well organized and they’re a good option if you want to spend less than the price of accommodation in one of the Tuscan villas or agrotourism farms. Such places are fantastic, I don’t deny it, yet they charge a lot in the season and the campsites are a perfect alternative. Below I present my private mini ranking of campsites we’ve visited. I took into consideration factors such as location, general appearance, conditions and my subjective judgment. Maybe some of you’ll find it useful. Definitely the best place we slept in among all the campsites described below, mainly due to its location. It’s really easy to get from the small town of Casciano di Murlo, where the campsite is situated, to many Tuscan cities and villages, and wherever you go, the views are spectacular. If you travel by car, you may comparatively quickly reach Montalcino, San Quirico, Pienza, Montepulciano, the beautiful mini-town Murlo or Siena. There are also plenty of charming bicycle routes. It’s simply a perfect starting point. 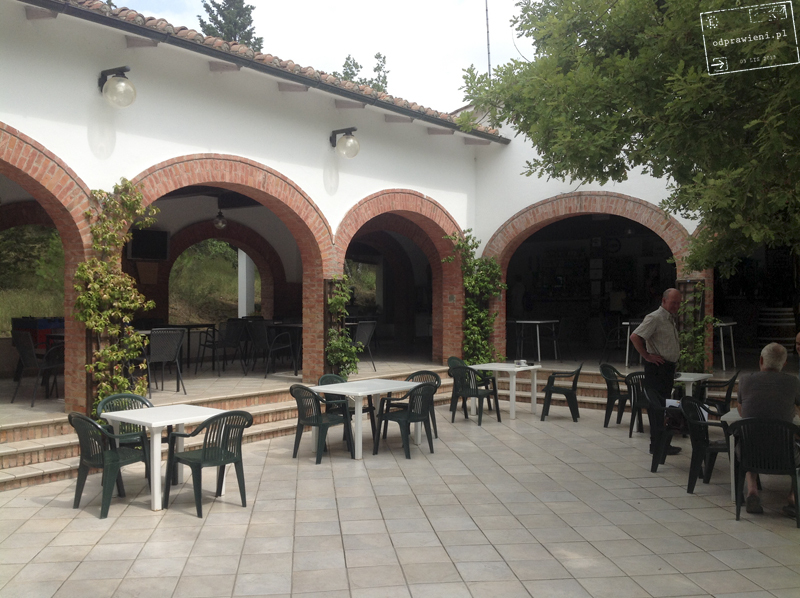 The campsite is run by an energetic older couple, who supervise the place non-stop. They organize free hiking tours for the tourists to less well-known local attractions and different sport activities. The campsite has a cascading layout. It enhances privacy despite the great number of people staying at the place, yet one needs to be prepared for some climbing. There is also a swimming pool and I was happy to discover that the owners of this place were realists and opened their pool until midnight. It’s not an absolute necessity for me, but if there is a swimming pool, it would be nice to swim in it once in a while. Swimming pools are usually open until 7 p.m. so not everybody who wanders the area and does the sightseeing has a chance to use them. Apart from that there is also jacuzzi, showers with token timers (0,75€), beach volleyball court, bar and pretty good restaurant -I recommend their lasagne! 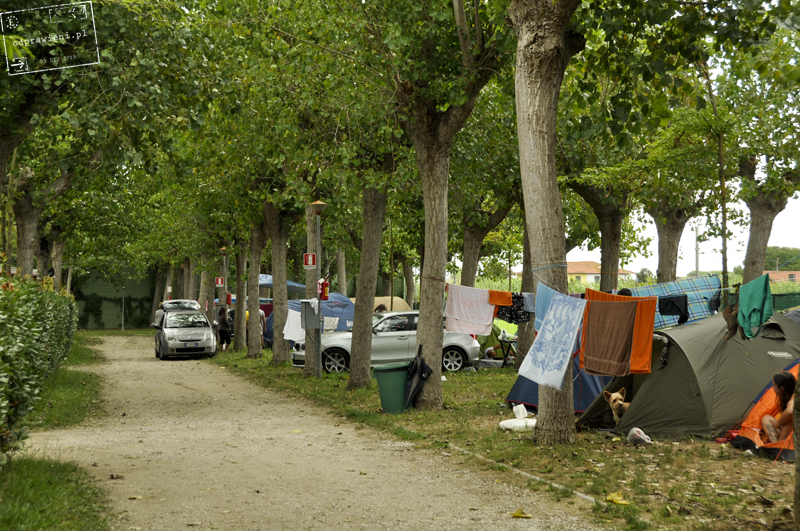 Although the campsite is relatively big, it doesn’t have the feel of a giant round-up and the way I see it, it isn’t also only a money-making machine exploiting the tourists. It’s a pleasant place, ideal for several-days-long stay! Current price list you will find on the website. 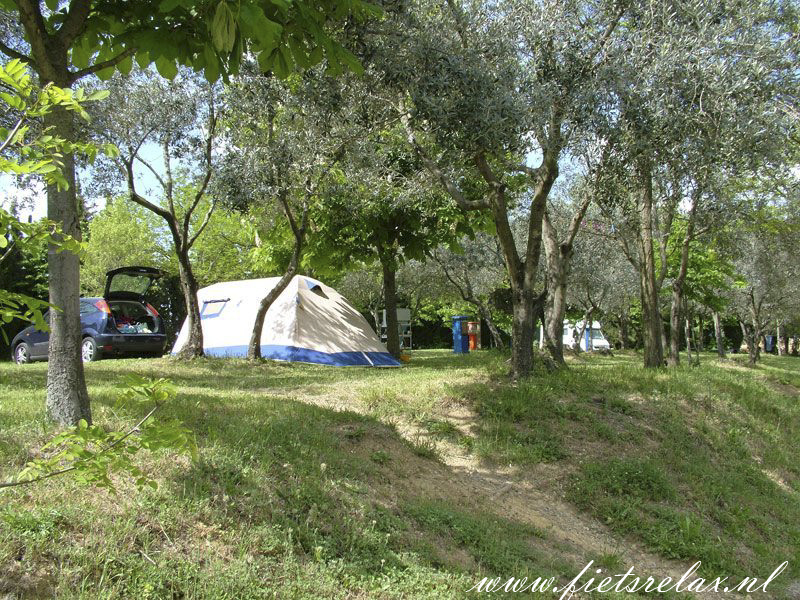 A campsite located on a low hill in a small charming town called Campiglia Marittima, several kilometers from the coast and around 15km from Populonia. The owners were waiting for us on the threshold. They are a nice, very helpful married couple speaking very decent English. The campsite has a cascading layout and it’s divided into numbered places. Olive trees fill all the empty space. The ground in the place where we wanted to pitch our tent was very hard and it was difficult to drive the pegs in, so remember to take a hammer with you, just in case. 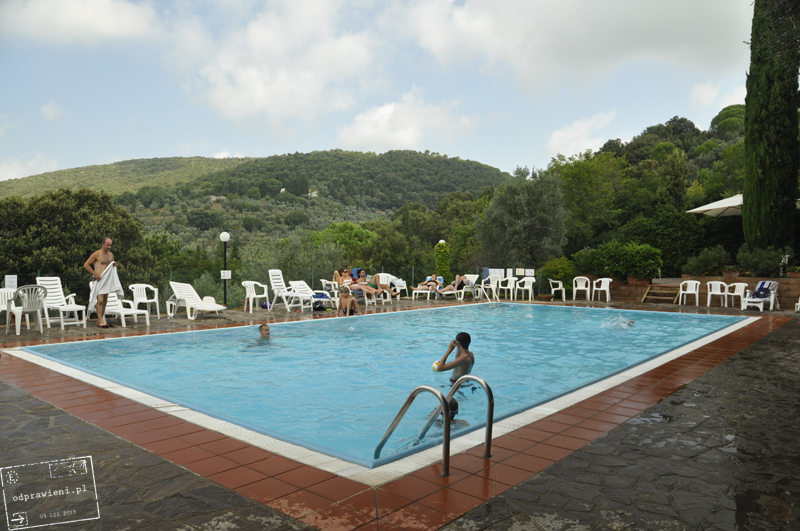 The campsite has a small swimming pool, restaurant, clean toilets and showers without any tokens. Wi-Fi and electricity included in the price. A very pleasant place and we would stay there longer, if we hadn’t been driven out by extreme air humidity. It was a real sauna! Current price list you will find on the website. 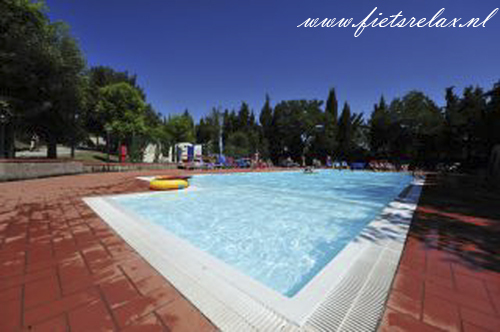 Pleasant green place located 1km from the centre of Volterra town. Right behind the fence we could enjoy a marvelous Tuscan landscape, which was particularly impressive during sunset. 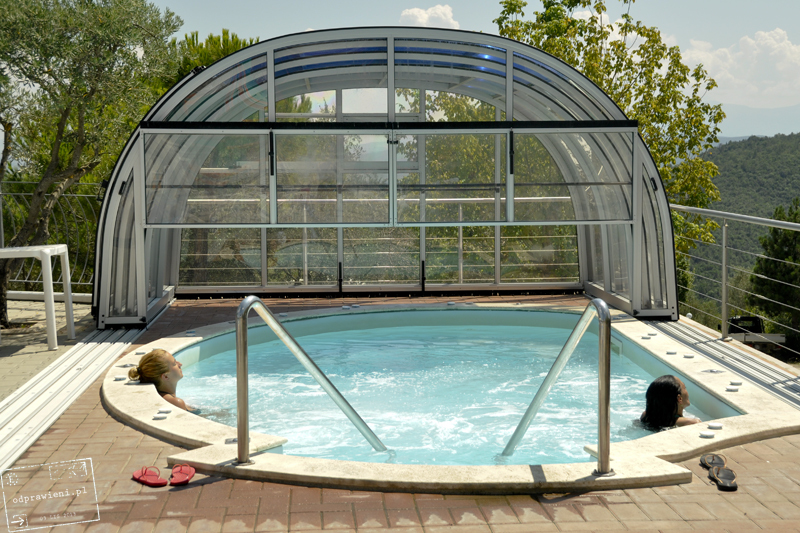 There is a small swimming pool and decent sanitary facilities on the premises of the campsite. Wi-Fi is available near the reception. 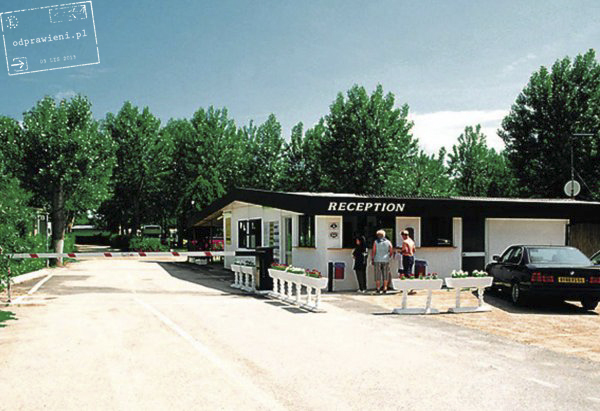 There is no restaurant and one has to leave the car on the parking space in front of the campsite, but it’s not a great inconvenience and the parking is quite close so let’s not make a big deal out of it. I liked the freedom of pitching your tent wherever you liked. There were no numbered or divided places -just do as you like. Current price list you will find on the website. A quite nice campsite. It’s a good starting place as it took us a moment really to get to the centre of Venice from it. 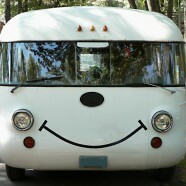 Buses which arrive at the campsite every 15 minutes (no. 5 and 19) get to the bus stop Piazzale Roma in less than 10 minutes. The whole historical centre of Venice is then within the reach of our feet. You may buy a return bus ticket costing 2.60€ at the reception. 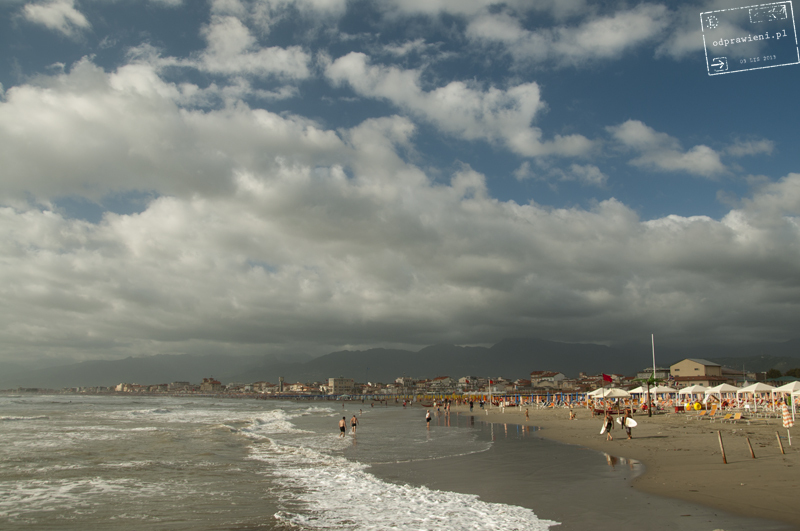 Campsite in the coastal city of Viareggio located approximately 2 km from the city centre and 1300m from the Tyrrhenian coast. It’s situated on a flat area among the trees. It’s divided into fairly big tent spaces and there are also many stationary bungalows for rent. 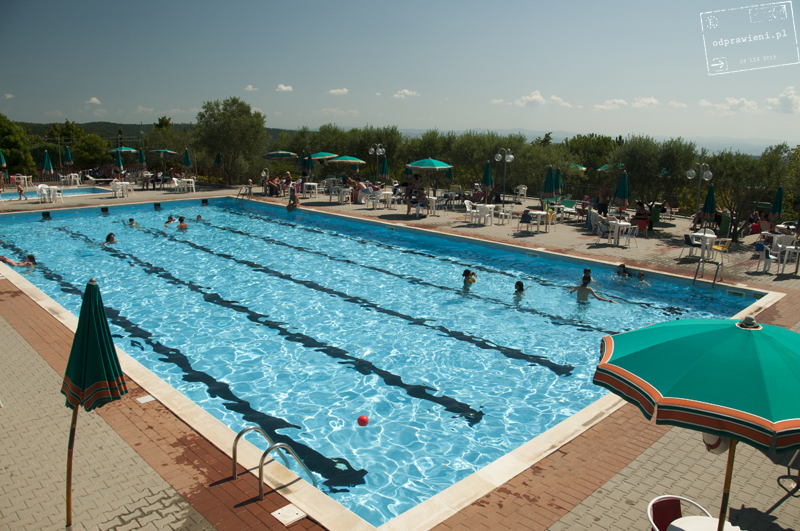 The visitors may use the swimming pool, go to the campsite’s restaurant and mini playground for children. 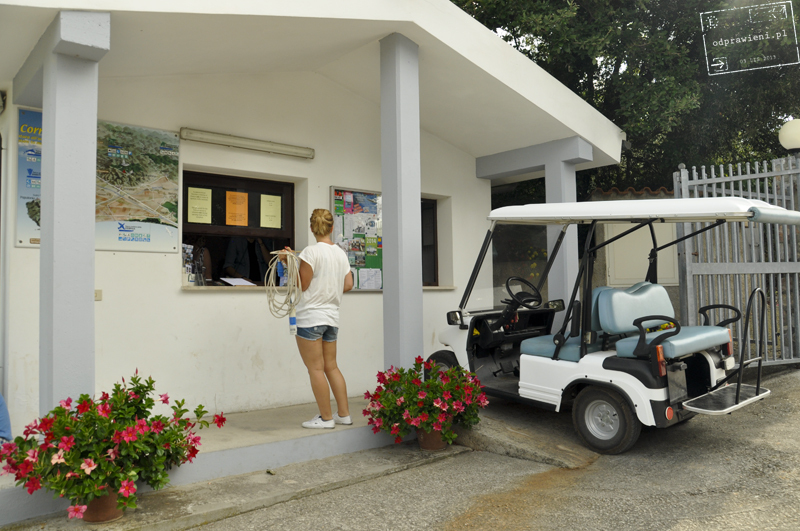 Electricity is included in the price while Wi-Fi covering the whole campsite is charged 1€/hour. 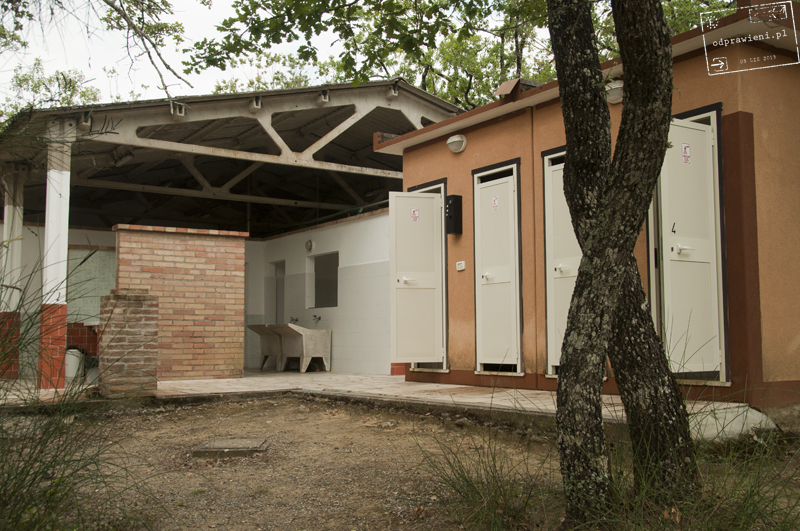 The toilets and bathrooms are relatively clean and in sufficient number. A plus for friendly service. A minus for closeness of railway tracks, which wasn’t very bad really judging by the fact the noise didn’t interrupt me in my sweet deep sleep even once. 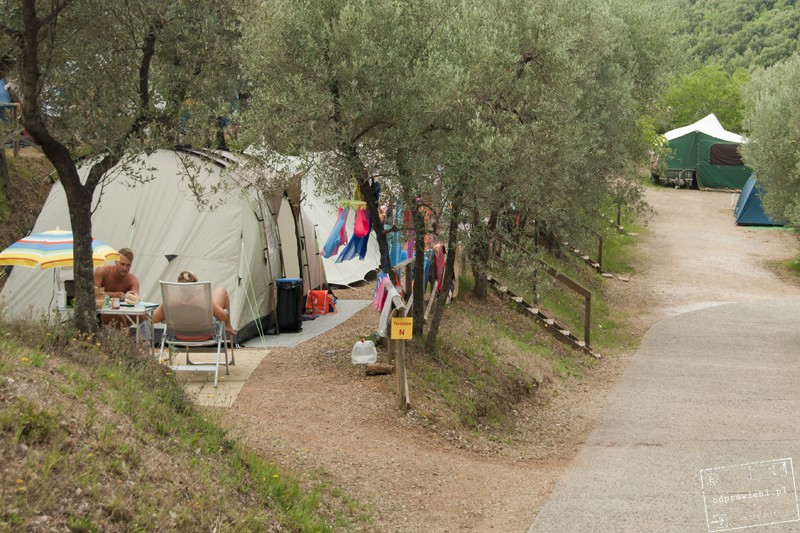 Campsite located near the town of Monteriggioni in Chianti, a quiet area, not to say wilderness… You need to drive along a graveled winding road extending from the main road for about 2km until you reach a forest. The campsite is situated on a hill and it’s got a cascading layout. 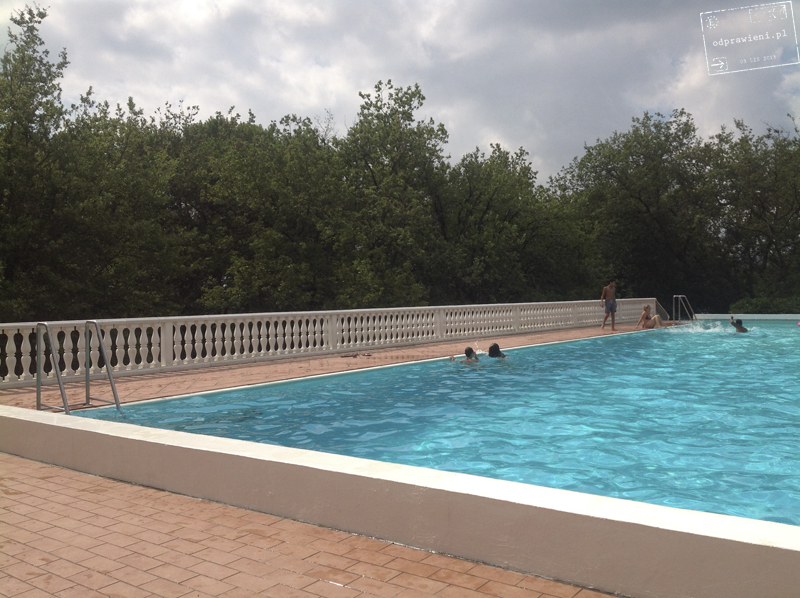 There is a nice swimming pool on its premises, a restaurant with tasty Italian homelike meals and wine. The bathrooms are nothing special and if you want to take a hot shower, you need to insert a coin. Better not to forget about it before taking off your clothes and applying a shower gel. The campsite is bog-standard and nothing about it charmed me apart from delicious evening pizza. Current price list you will find on the website. 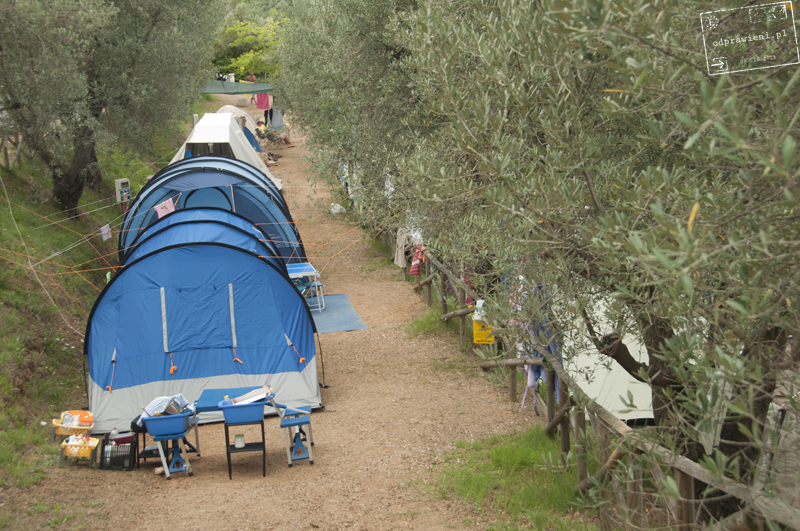 Campsite situated in a pine forest right by the Tyrrhenian Sea, at the root of the split of land leading to Mount Argentario. 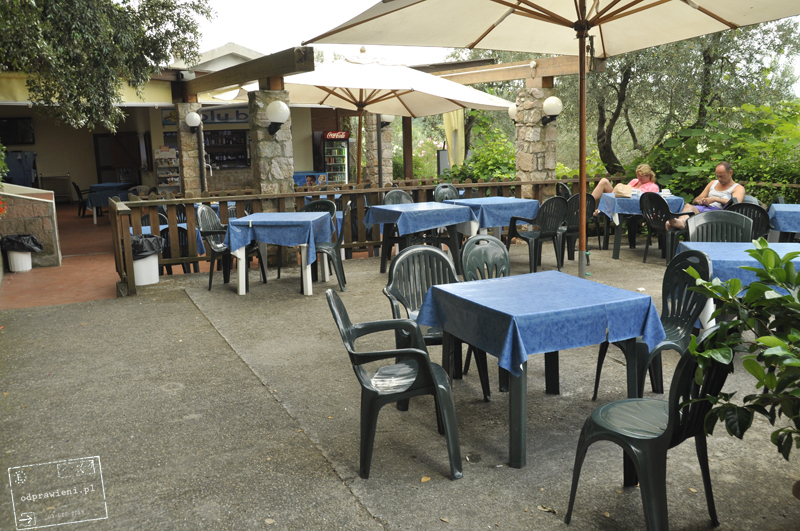 It’s close to all the towns located on the peninsula: Orbetello, Porto Santo Stefano and Porto Ercole. This campsite suited to my taste to the smallest extent, mainly because of overcrowding and lack of privacy. Tent by tent, camper by camper, terrible squeeze. 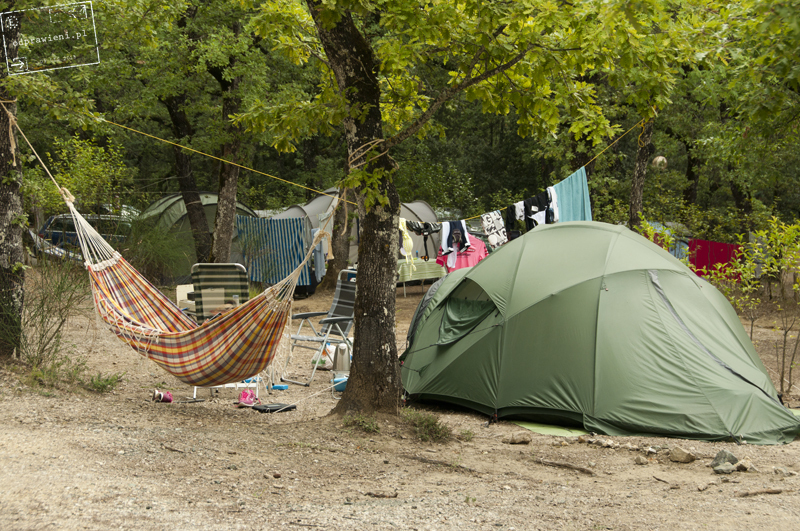 The camping is extremely popular among dog owners; there is even a separate beach for people who want to sunbathe with their pets, where the dogs may run, swim and go crazy. I didn’t mind really but that dog gang was a little too numerous and if somebody doesn’t like such company, it might be a huge minus. Significant advantages of the campsite are the closeness of the sea and beach, which is just behind the fence, and the sound of waves, which lulls the tourists into sleep. 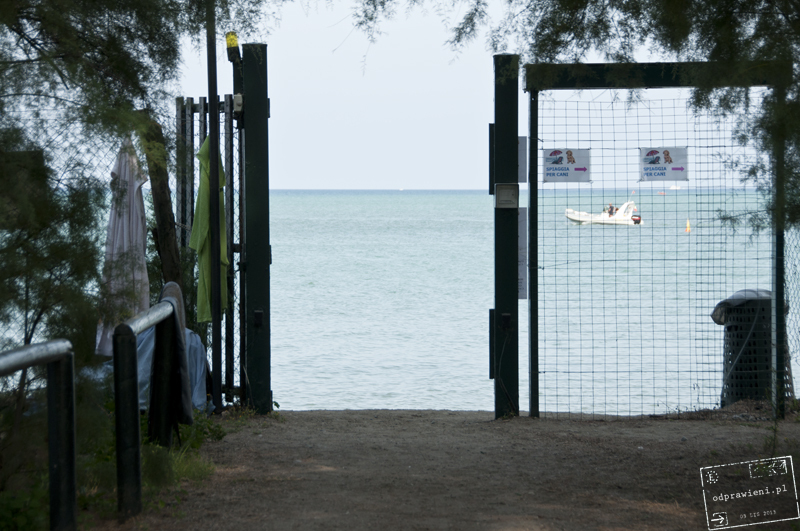 The campsite also has its own gate to the beach with beach chairs and umbrellas for the use of the visitors. Toilets and showers are quite all right. Wi-Fi included in the price, but we had that perfect luck that during our stay the Internet wasn’t working. The parking located far away from the campsite is a huge disadvantage. It’s not a problem to drive in, unpack your luggage, but after that you have to park on the parking lot. So, if you forgot to take for example the torch from the car, you need to leg back. 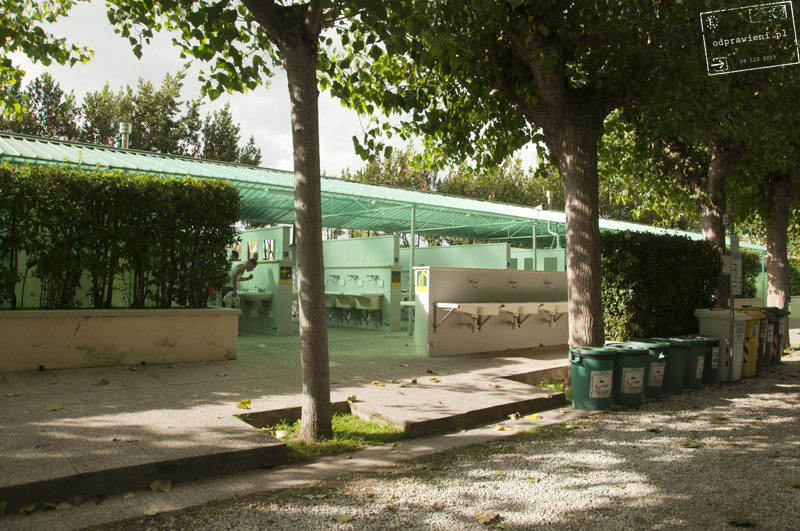 The general atmosphere of the campsite is that of a sea resort -there are many families with children and dogs spending there their whole holidays. Such climate isn’t really to my liking, but then, each to his own.